Thinking of doing a spring project? Check out this weekend project using our Bickpannel + system in a creative way. 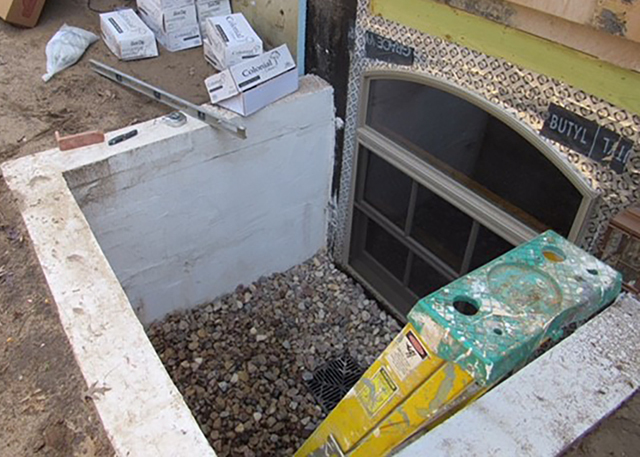 Who's window well doesn't need a makeover? 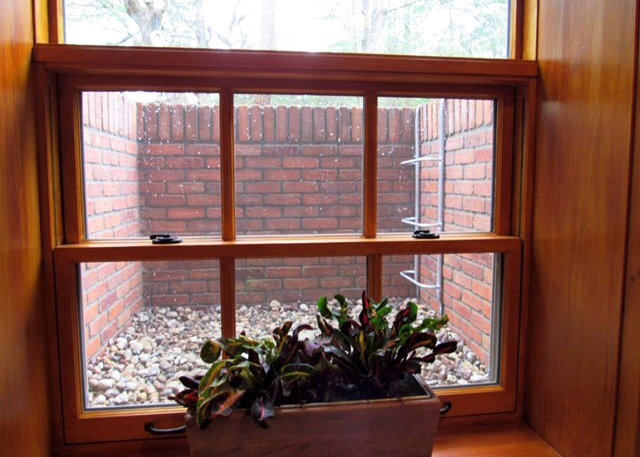 This window well was a drab, but with a little creativity, it could become a charming accent for this new home. This is a project that could be done on a Saturday. You'll see how simple it is to install the brick finish using the Old Mill Brick Brickpanel + system. 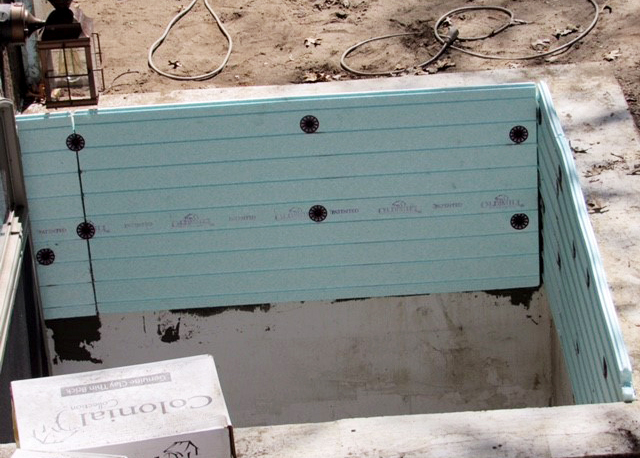 You can purchase a kit with the foam panels, fasteners, grout bag, and adhesive here. Then you can pick out your thin brick color here. This project uses both flats and corners in the Boston Mill color. By using Old Mill Brick's Brickpanel + system, the thin brick installation is fast, easy, and turns out with perfect lines. You simple cut the foam panels to size and then attach them to whatever surface you are working on with the fasteners included in the kit. You can also use a thin set adhesive and a notched trowel to attach the foam panels if you are unable to use screws on the surface you are working on. The groves in the foam make a professional looking masonry job as easy as lick and stick. Just apply a line of Old Mill Brick Thin Set Adhesive to the back of the brick and stick it onto the foam. Stagger the bricks every other row and leave space in-between the bricks for grouting. When applying the bricks, it helps to push the brick into place and then move it back and forth a little to spread the adhesive on the back. 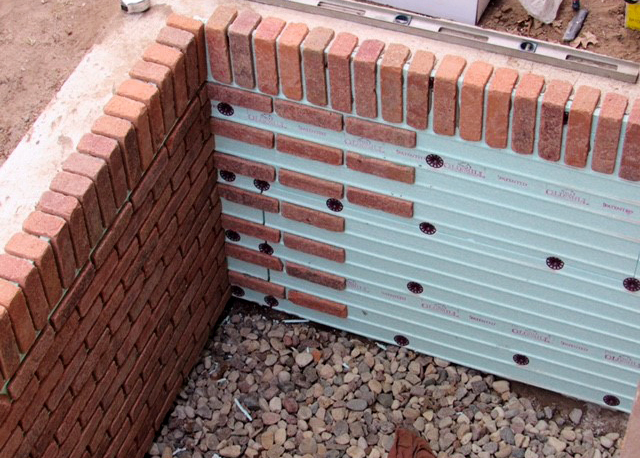 You can watch the tutorial video here for more details on installing the Brickpanel + system. Grouting can either be done with a grout bag and a jointer tool or using a tile float and then a sponge. For outdoor installations, it is recommended to use a brick sealer such as this one to protect the brick from weathering and getting dirty. You can apply the sealer before or after grouting depending on the look that you want. If you seal before grouting, the brick will take on less of the grout and retain its color better. You can also seal your project before and after grouting so that your grout is also sealed against the weather. After grouting the brick, you're left with a beautiful, timeless look that will last. Adding a cute turtle statue gives it a personal and charming finish. The view from the inside is priceless. 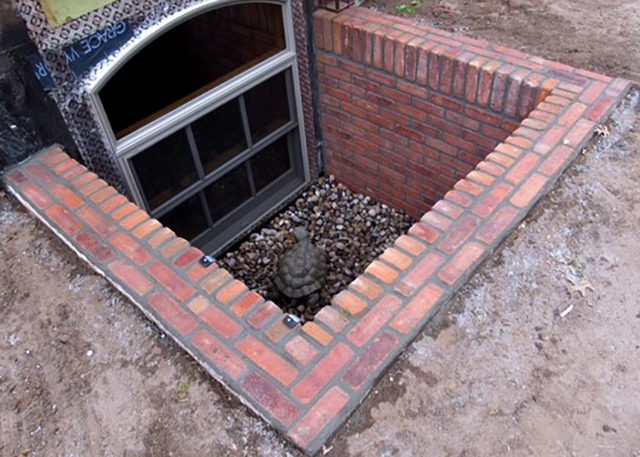 Window wells in the basement are a necessity and often an eye sore, but they don't have to be!